Oh wait... it's also an easy recipe! 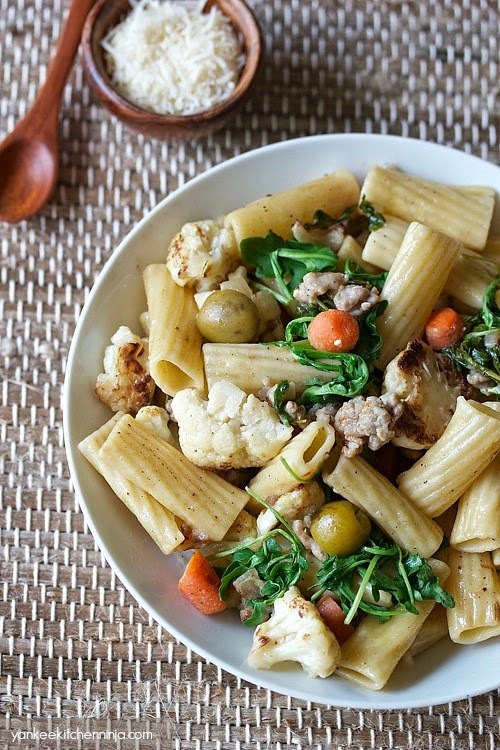 This dinner can be on your table in less than 30 minutes. I highly recommend using sharp and tangy green olives or even purply kalamata olives -- mild, canned black or green olives just won't give the dish that extra pop that it needs. 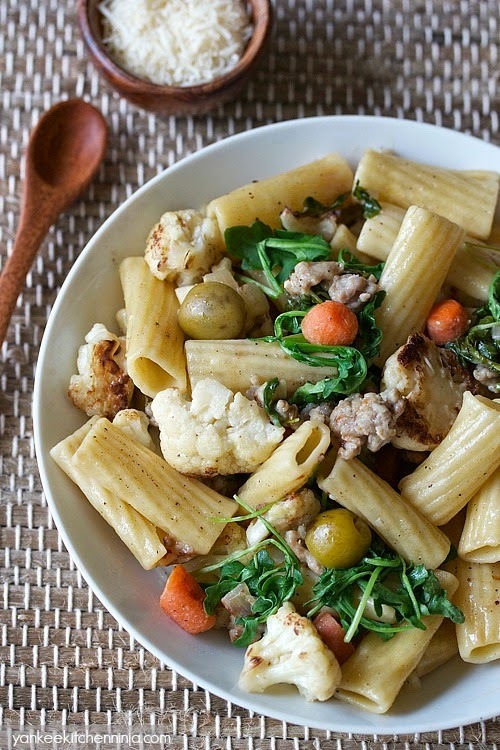 Are you a pasta traditionalist? Or are you more of an avant-garde pastaholic like I am? Leave a comment: The Ninj wants to know. While pasta cooks, heat 2 tablespoons olive oil in a large skillet over medium-high heat. Add the cauliflower and cook for about 10 minutes or until just tender, turning occasionally to brown all sides. Remove from skillet and set aside. Add the remaining oil, sausage, carrot and onion to the pan and saute until sausage is cooked, about 10 minutes. Add the garlic and cook for another minute, then add the wine and cauliflower, stirring well. 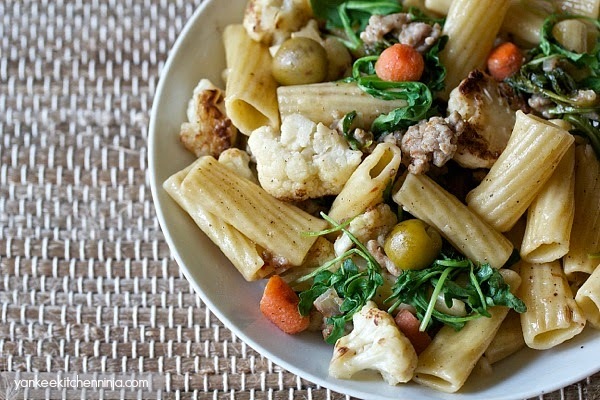 Combine the cauliflower sauce, pasta, arugula, olives and cheese in a large bowl and toss gently to combine. Season to taste with salt and pepper. This one looks good! Would likely sub mild for hot sausage, family preference. Thoughts? Cindy C.
Absolutely, Cindy -- it's all about personal preference!